3 Bedroom End of Terrace House For Sale in Sittingbourne for Offers in excess of £210,000. 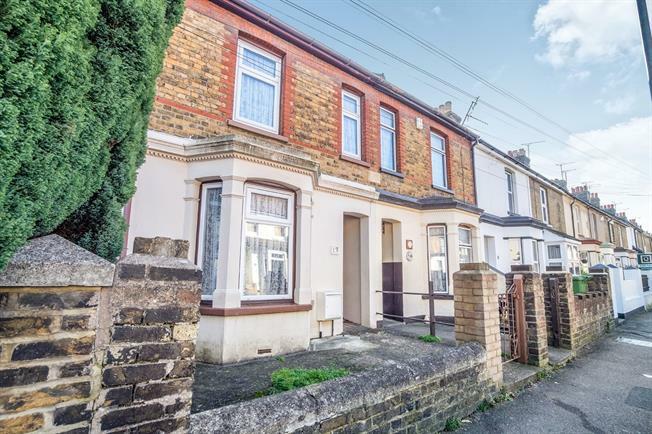 We are delighted to be offering for sale this well presented three bedroom end of terrace family home, which has seen the same owners for 57 years. The property benefits from three excellent sized bedrooms to the first floor. To the ground floor is a large lounge with bay window and an archway into the dining room which in turn leads to the kitchen, lobby area and spacious bathroom. The garden is measuring approx 60 ft and has access to the rear which could provide additional parking/garage. This truly is a fantastic family home and not to be missed.